Data migration can be a necessity for many businesses these days. Bulk uploads of patient demographic, scanned documents or even full medical records may be required ad-hoc or on a regular basic. 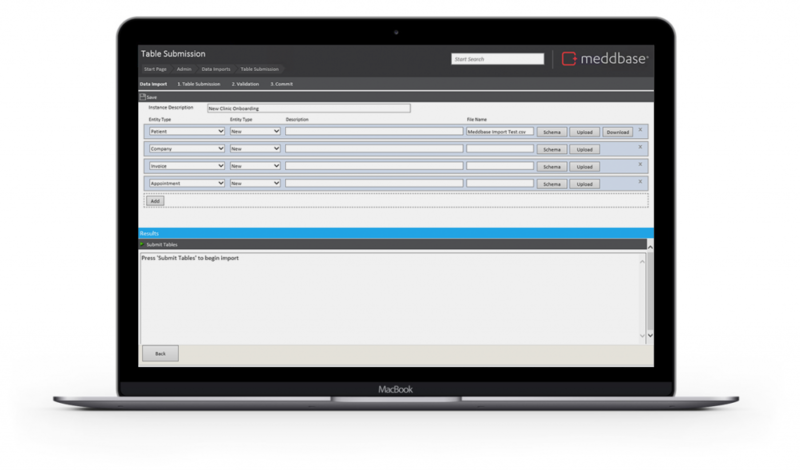 The Meddbase import layer allows you to import data based on a range of field headers directly into the application. If you want to get really technical, you can push data directly to our data import service. We care about your data and how it is stored within our application with the belief that validation is of great importance. This is why our import service create reports based on your data and informs you of potential issues when importing. For example, invalid dates of birth, titles that do not match the gender as well as a host of other useful information. If you do commit data by mistake, we even have an undo feature allowing you to roll back your import. Leave frustrating, pre-internet practice management software applications behind. We have a team of experts who can manage migrations from a number of commonly used practice management and GP software applications making your transition to Meddbase smooth and un-interrupted. Contact us for details.